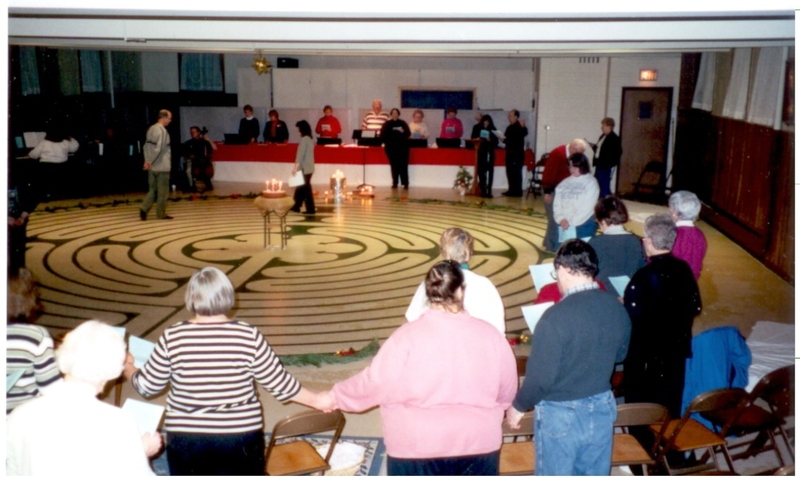 We have a 35′ diameter Chartres labyrinth, painted on the floor of our Fellowship Hall to enrich the spiritual life of our congregation and community. See our Upcoming Events post for scheduled labyrinth walks. We also hope to make this spiritual path available for other groups to walk. If you would like to schedule a time to visit our church and walk the labyrinth, please call the church office at (708) 246-1255, or e-mail us at lyonsville@sbcglobal.net.